I’m one of those homeschool moms who can never use a curriculum exactly as it is planned. I regularly tweak, skip, and add. So I admit that I’ve not used Considering God’s Creation as it is designed, but I’ve loved having it on my shelf as a resource for supplementing science and nature studies. Considering God’s Creation is written for 2nd through 6th grades and is flexible enough for teaching a group of children in various grades. Perfect for a Charlotte Mason styled homeschooler who wants no formal science before 7th grade, this program is very gentle and provides a brief introduction to many areas of science: creation, the universe, weather, rocks, plants, animals, ecology, and human body. 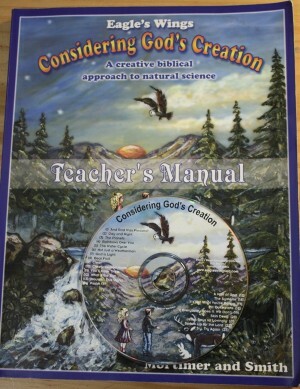 Considering God’s Creation is a set of three resources – a student book, a teacher’s manual, and an audio CD. 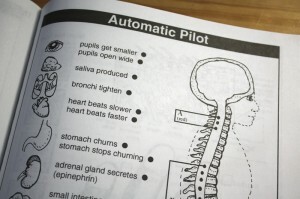 The student book has almost 200 perforated pages that can be reproduced within a family. These make up the notebooking component of Considering God’s Creation. 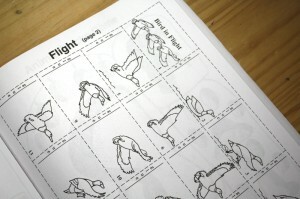 Some are strict pages with coloring or matching, but many are cut and paste paper activities or minibooks. One of my favorite parts of the student book are the detective pages. These are one page worksheets that can be filled in with details; there are boxes to tick and places to draw diagrams. 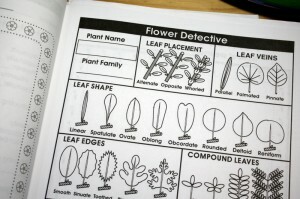 Detective Pages offer a concrete framework for careful observation and documentation, so they are great for science notebooks or for nature journals. 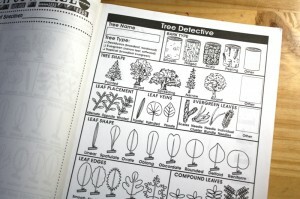 The student book wisely includes duplicates of the detective pages because you will want to use them many times in your scientific observations. 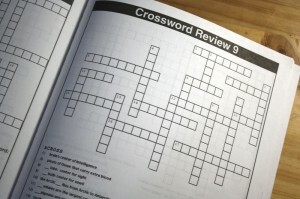 Twelve crossword puzzles serve as review and can be used as tests for older children. Considering God’s Creation is a very “open and go” curriculum thanks to the teacher’s manual; any needed preparation is clearly outlined at the beginning of the teacher notes. Each lesson includes Bible references to connect the science to God’s word. 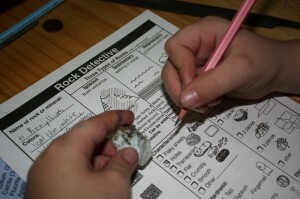 There are suggested experiments or activities, a fully scripted lesson (with answers to all the questions), a notebooking activity taken from the student book, evolution stumpers, and resources for further study. The audio CD has songs to help you learn the science facts. The lyrics are included in both the student and teacher’s books. The notebooking aspect of the program is easy to adapt to either science notebooking, nature journaling, or even lapbooking. As a downside, some of the printable papercrafts and minibooks are tiny, with lots of information crammed on very small pieces of paper. You may want to enlarge some of the reproducibles or adapt their use. For example, the minute flaps that are to be glued together could be more easily stapled. The style is a bit coarse; Considering God’s Creation is not as visually polished as an Evan Moor or a Scholastic book. But the Christian emphasis in the lessons and the comprehensive nature of the book make up for it. Personally, I find the songs in the program very annoying, so the CD stayed safely in its envelope in the back of my teacher’s manual. I think that every homeschool with elementary aged children should have this resource. If you’re a Charlotte Mason styled homeschooler, you’ll find Considering God’s Creation a perfect fit for a gentle science study for elementary years and/or as a help for nature studies. That looks like a great resource. We are doing an eclectic mix for science this spring. I have been looking for some fun stuff to add to our program. This might just foot the bill. And, for $30, I’m willing to give it a shot! .-= Cindy´s last blog ..Service at the Food Pantry =-. I have enjoyed using this book this year, as science is not my strength. 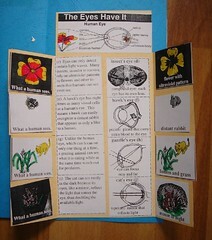 My daughter really enjoys the notebooking activities and she has made some amazing notebooks using the worksheets. BTW, she and I both found the CD annoying as well, so we quit using it after the first couple of times. This is the curriculum I’ve been looking at for my upcoming year (2nd grade and kindergarten combined). Your review was very helpful! .-= Joesette´s last blog ..WORLD MATH DAY, MARCH 3rd, 2010 – SET TO BREAK A GUINNESS WORLD RECORD =-. This site provide the latest science activities and whole information about elementary science curriculum.And guide to their Visitors. This site is provide the whole information about the elementary science curriculum and guide to their visitors.And also present the latest science activites. I agree, the songs ARE annoying. However, they are also catchy and they really do work. 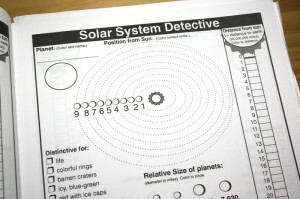 Even many years after I used this program with my older children, we still sing the song to remember what happened on each day of creation, or to list the planets in order, etc. My older children didn’t enjoy all the coloring, gluing, etc. this curriculum involves, so I never used it for the middle ones. But I think I am going to pull it out again this year to use with my younger children this year, since they are a crafty bunch. Over five years later! Thanks for this post! I have been trying to find a great science program and this looked good and came highly recommended for CMers, but I wanted to see it in action. So, I will definitely be ordered the new digital version of CGC!